California regulators on Thursday approved changes to residential electric rates for customers of utility Pacific Gas and Electric that could have an impact on whether consumers will readily sign up for solar and energy efficiency products and services. PG&E sought to make the “most significant changes in residential electric rate design in the last decade,” said the California Public Utilities Commission, by asking the commission to do away with the Tier 4 rate, the highest rate that PG&E charges for the heaviest electricity users, while increasing rates for lower tier customers. The goal is to narrow the rate gap between heavy and light energy users because over the past decade, state law had largely frozen rates for lower tier customers (Tier 1 and 2) while allowing the rates to jump significantly for upper tier ones (see CPUC report). Over time, customers in the upper tiers were paying higher rates even though the cost of providing services to them didn’t rise at the same levels. Since a new law that went into effect in 2009, CPUC has allowed rate increases for the lower two tiers and decreases for the upper two tiers. About 50 percent of PG&E’s residential customers, or three-quarters of its residential electricity sales (in kilowatt hours), are in Tiers 1 and 2. The CPUC said it came up with a compromise to close the rate gap without causing too much rate increases for lower-tier customers. It changed the Tier 4 rate from 40.4 cents per kilowatt-hour to 33.3 cents per kilowatt-hour and allowed for a different way to calculate rates that will push more lower-tier customers into Tier 3. It rejected PG&E’s proposal to get rid of the Tier 4 category and to charge a flat, $3 monthly fee, for all residential customers ($2.40 for low-income customers). Will consumers feel less compelled to go solar? Owning a solar electric system is expensive, and solar service companies often promise electric bill savings in order to win over customers. Homeowners who have high energy bills can achieve more savings with solar or see a return on their investments more quickly. So a lower electric bill may make going solar less appealing. Those who already bought or leased a solar electric system could see a longer payback period. At the same time, solar advocates such as Vote Solar are pleased that the CPUC kept Tier 4. The CPUC also said it wants to keep Tier 4 in order to nudge high energy users to conserve more and encourage people to embrace solar, particularly since it oversees a state program to provide rebates for installing solar electric systems. Will Consumers Increase Their Energy Consumption? While heavy users will see a lower bill if they use the same amount of power as before, those who use less historically will see a higher bill. So on one hand, the cost penalties associated with getting people to decrease energy consumption have been lightened — or at least, been made more confusing. However, the rate increase, while not a big jump, could also prompt more of PG&E’s residential customers to embrace measures to help them be more energy efficient. The CPUC decision could give a boost to energy efficiency gadgets and services providers, some of whom have talked about how difficult it can be to attract customers and making a good profit. Will Consumers Backlash? Plans to move more residential customers into a higher pricing tier could hit a backlash from consumers that don’t want to pay higher rates. 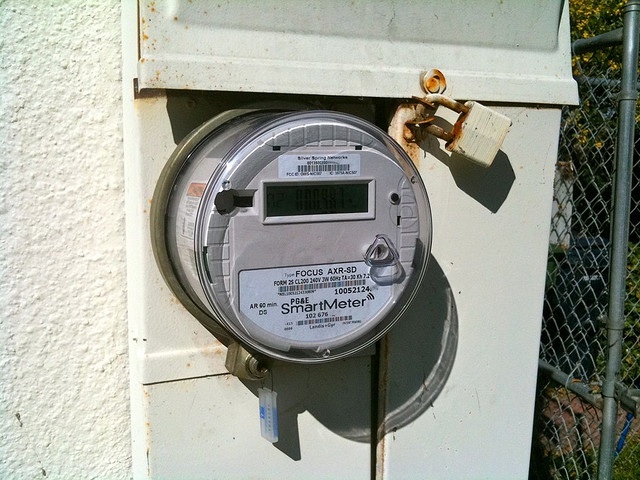 A small but vocal minority has already protested the use of wireless smart meters, and led to PG&E considering offering customers on non-wireless metering alternative to the smart meter. Will higher rates for some, make this situation worse? This rate and tier change, along with the terrible service, will make it easier to push PG&E out of California. Sadly .33 a kw/h sounds great to me Jimr, it was peaking at over .60 a kw/h not that many years ago. The more I read about Calif. The happier I am that I no longer reside there. 33 cent per KW , forced smart meter usage,etc. It’s no wonder people are abandoning the state.